As part of my contribution to this year’s great and unforgettable Coworking Asia Unconference I gave a workshop on creating a partnership program for coworking spaces. Below you’ll find the written out version of my workshop. It is based on a collection of learnings and best practices of 10 years of experience from our own coworking spaces at betahaus. It should give you an idea how we run things at betahaus and help you to setup your own partnerships. A good example from betahaus is the creation of our hardware lab. For two years we were able to offer our members access to a high end laboratory and tools to work on IOT hardware that they (and us) otherwise would not have been able to afford. 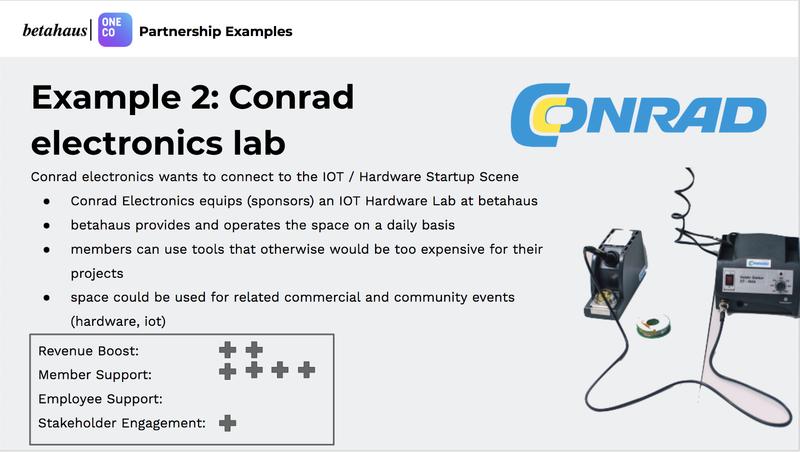 Our partner Conrad Electronics in return wanted to get in touch with local hardware startups and the hardware community in Berlin in general and learn more about their needs. It played out nicely and it even became a USP to join betahaus since no other space would offer this in Berlin at that point in time. There are many other examples like sponsored infrastructure or free products and software, coaching for your employes. You can find a couple of them in the slide deck from my presentation. One special example that I additionally want to mention here are partnerships with other coworking spaces. At betahaus we partner with more than 50 coworking spaces around the world to give our members a worldwide roaming option when they are traveling. Those partnering spaces welcome our members one day per month for free and we welcome their members in return. It is a big added value to our membership and additionally brings the communities closer to each other. We manage those memberships with our spin off One Coworking. Take a look at it and if you think your Coworking Space should be part of it, reach out to hello@oneworking.com and we get back to you. At betahaus and One Coworking we use the OKR Model as a general management tool and to keep the whole team stay true to our vision. Below an example of the betahaus Vision -> Mission -> Objectives Tree. With this little chart we now can always check if the proposed partnership is inside our vision, mission but also which of our objectives it does support. Also be sure to mention the awesome partnerships you got in your personal sales pitch when signing up new members. We always get an “awww” when we explain that with the betahaus membership you can check into 50+ partner spaces worldwide with the help of One Coworking. Last but not least I got asked a lot what the best partnership looks like from my point of view. I think the best partnerships are those that help you doing things that you would do anyways even without the extra support. They just get better with the help of partners. 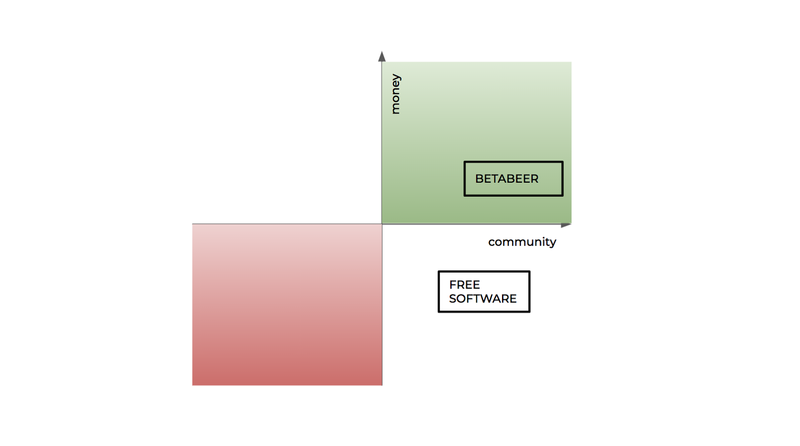 My favorite and very simple example at betahaus is betabeer which we organize since the beginning of betahaus. A sponsor pays the drinks for a community event and gets exposure in return. We host it every last thursday of the month. It is a small social get together for our members and their friends. Sometimes we combine it with a bbq or take-out pizza. For most of these events we partner up with a startup or company that is part of our network that sponsors beer and bbq. In return we allow them to slightly theme the event, hold a quick talk or do other creative things. 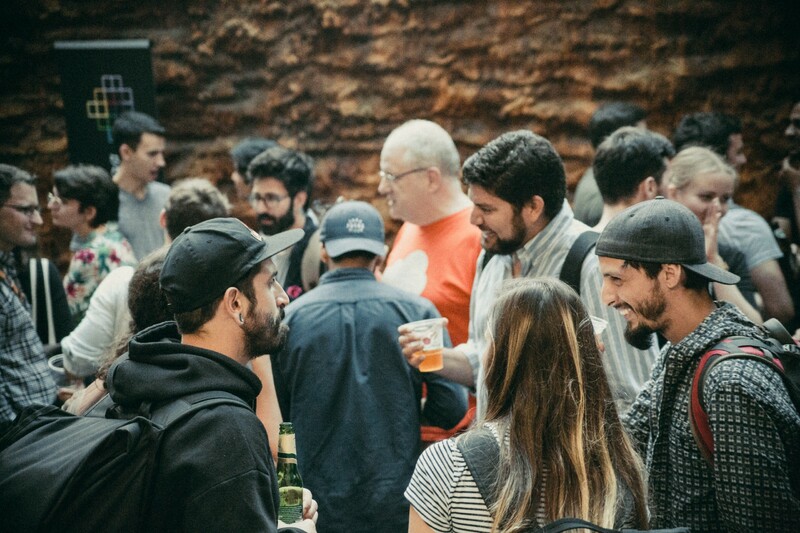 Our community enjoys it because we try to make sure that it remains a social event and does not turn into an eternal sales pitch. It is a low level partnership because there is no big investment involved also the partners change all the time. But I like it because a little bit of sponsoring and interesting partners makes this event even better and it fully supports our goals and the community benefits and it works for years. Most of the coworking entrepreneurs that I know are warm, open and welcoming people with a genuinely positive attitude towards life. I think this comes naturally with the encouragement needed supporting a community of creatives, makers, entrepreneurs. We are enthusiastic people easy to thrill. We are excited about new things, starting new projects and getting to know crazy ideas. We live in a world of opportunities. I feel in this environment saying “no” to something is one of the hardest things to do. It might even be a taboo in some situations and we have to learn how to do that and why. Having tools at hand that help us to rationalize our thinking and clearly analyse why we are doing things is crucial. Frameworks like the OKR System can help to simplify decision making for us and our team. Sometimes easy checklist do the job or a simple matrix like in Step 4. This applies not only to partnerships but to nearly every other aspect of managing a coworking space an I encourage you to look into this more if you feel overwhelmed and exhausted on a daily bases by all the choices, opportunities and decisions you have to make. Thanks for reading so far and please leave your comments and thoughts below. I am interested what your experiences are with partnerships. What are your best and worst experiences? I am also keen to learn about more best practices. Let’s make this a really useful resource! About me: I am a serial coworking entrepreneur for10 years now. 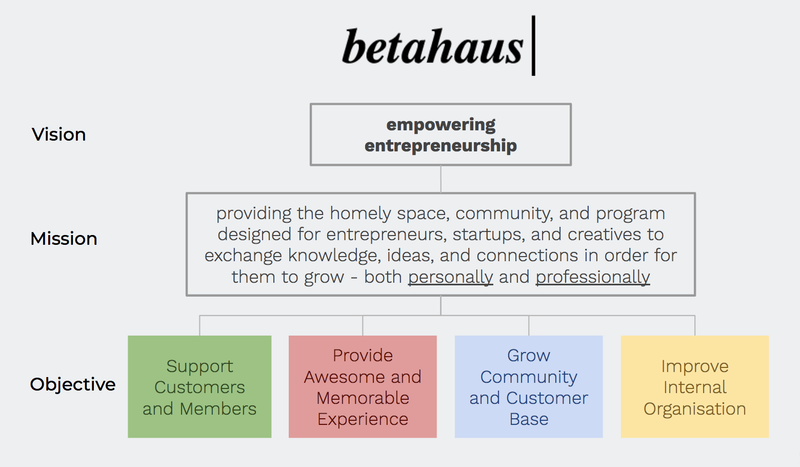 I founded betahaus, one of Europe’s first coworking spaces where I guide international growth and partnerships. At my new initiative, One Coworking I work on a tool that enables coworking spaces to offer a global membership. Apart from that I really like speaking on conferences about my work. I also like advising organisations to understand the transformation of work and the coworking and coliving phenomenon.